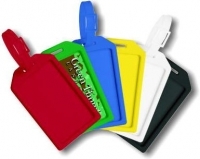 Here at Name Tags Express it is our goal to provide quality, affordable name tags, ID badges, door signs, luggage tags and other printed items. 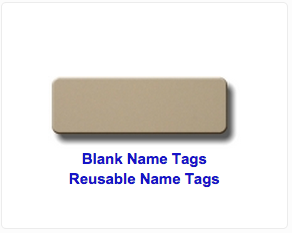 Our goal is to provide the best name tags for you and your company! 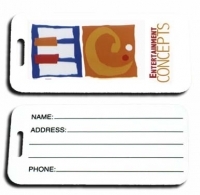 Whether you are looking for a color printed name tag, custom printed name tags, basic plastic engraved name tags or luggage name tags, we have the right name tags for you. 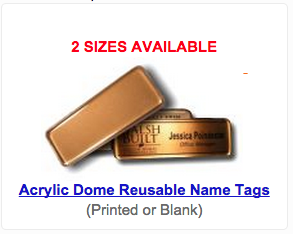 We also engrave brass luggage tags using a computerized engraver. 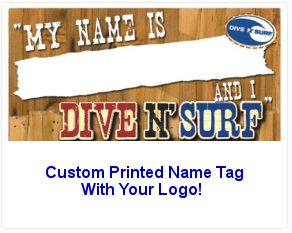 In addition, we can assist in creating a custom logo just for your name tags, a logo that will provide name recognition and that professional image that is necessary to create confidence and trust between you and your customer. 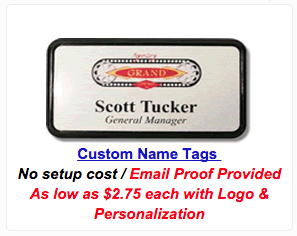 So if you are in the market for name tags, luggage tags, photo badges, security badges, blank name tags or other printed signs, Name Tags Express is the company to contact. We also offer many other printed items, so if you don't see what you are looking for, please ask. If it is printed, we can provide you a quality product at a reasonable price.